An IHG® Hotel. 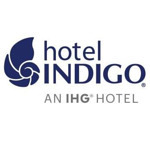 Hotel Indigo is a boutique hotel brand known for fresh design, personal service and our distinctively local personality. Every city has its own special way to satisfy a sweet tooth. Here’s your guide to the greatest iconic European desserts and where to find them. After a big night out on River Street, there’s no better recipe for recovery than a batch of shrimp and grits. Here are five favorite choices for the most important meal of the weekend. Discover Savannah’s charm with our guide to eat, drink, shop and explore in one of the South's most beloved cities. A cultural hub with architecture to marvel over and world-class gourmet bites. Spend 36 hours in beautiful Barcelona. Grab your camera, take a bike and explore this fascinating city. Discover architecture, innovation, and urbanism in The Hague. Bottom line: Helsinki is a treat for all your senses. Add these avant-garde galleries and showrooms to your St. Petersburg itinerary to find inspiration in Russia’s most creative city. Dance, drink, discover. Here’s our guide to the perfect 48 hours in Downtown Denver. Art-filled markets, petal-covered streets, and sugar-coated treats: Discover the best of New Orleans with this two-day itinerary. Hit these lesser known spots in Düsseldorf for culture, fine dining, and pulsing nightlife.